A new program with the potential to power solar energy education around the world was conceived of by a seven-year-old. Amalie Obusan’s son told her that he heard about kids in the U.S. learning about recycling while earning merit badges in the process. Her son was a scout — a program that every kid in the Philippines encounters at some point because it’s embedded in the education system. “Is there a way for me to learn about solar energy and then get rewarded in return?” he asked his mom, observing the work she had been doing around solar technology. “I’m not sure,” she replied. This was in 2010. As a former scout herself, the regional climate and energy campaign coordinator for Greenpeace Southeast Asia (GPSEA) was intrigued by the idea. She couldn’t track down a program of the sort, but the idea stuck with her. And a couple of years later, she found an opportunity to try out the concept. As part of Greenpeace’s (GP’s) Future Leaders Program, she was asked to create a leadership challenge. It was the perfect chance to create a pilot project for advancing the energy revolution through scouts badges — symbols of recognition scouts wear on their uniforms as a means of encouraging the development of skills, knowledge or interests. When Amalie pitched the idea internally, she paid attention to one of the comments from a GP mentor in the program. The idea was highly dependent on external partners, how much they took to it and how willing they were to work with GP. Luckily for Amalie, the response from Scouts leadership was an immediate, enthusiastic yes. A team member pitched the idea at a Scout Centres of Excellence for Nature and Environment (SCENE) gathering in Costa Rica last year, and Amalie then presented it at the World Scouts Education Congress in Japan. There, she had the opportunity to get to know key decision-makers, including the president of the scouting association of Japan with whom she discussed the idea over breakfast. 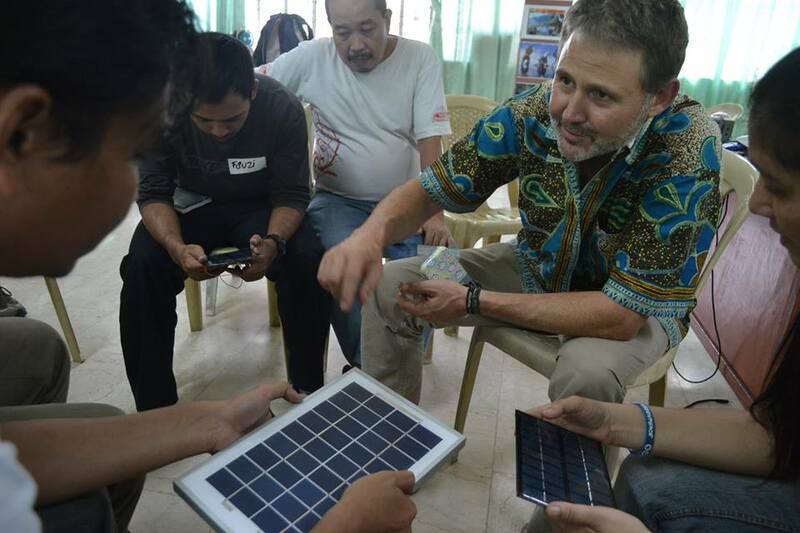 A group discusses solar panels at a “Train the Trainers” session in Manila, Philippines. “It’s not only about getting an e-mail or contact information. It’s about finding ways to make the relationship progress into something where both partners benefit,” Amalie says. She spent a good part of the pilot year of the program building relationships. The time and energy it takes to ensure you’re really listening to partners and also getting your message across should not be underestimated, she says. One of the challenges to getting the project off the ground was simply navigating meetings across time zones. GPSEA, the GP Swiss office (which Amalie discovered had some experience working with scouts) and various scouts offices were all involved in planning the program over the last year. 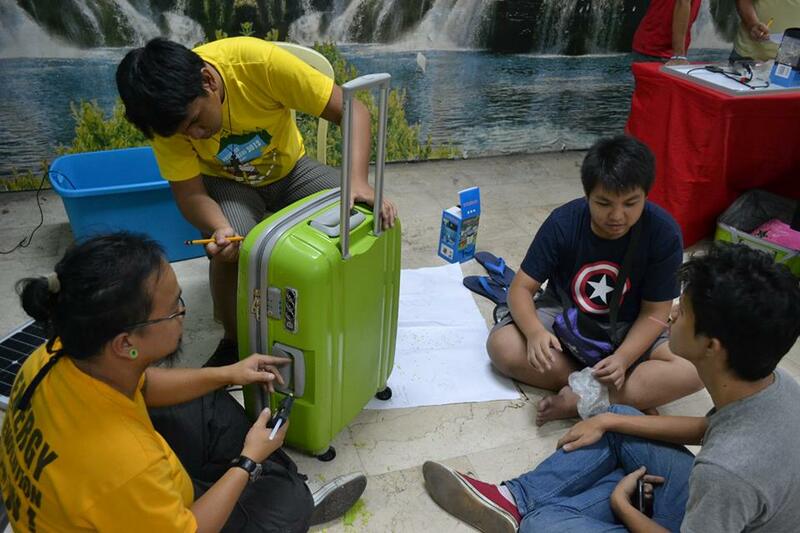 With work and dedication, a “training the trainers” pilot program launched in April in Manila. It tested out both the hardware side of solar tech systems and the teaching and learning side of age-appropriate activities for workshops. The program’s initial success has brought the next step of evaluating whether it can be translated to other parts of the world. Amalie found a valuable insight in the process: while Scouts has a particular nuance and meaning in the Philippines, this is not necessarily the case in all parts of the world. This is an important consideration in evaluating the program for expansion: a cookie cutter approach does not necessarily work. 1. The Solar Challenge Badge Handbook – Currently in draft form, the handbook outlines educational activities for three age groups: 5-10; 11-15; and 16+. The beta version will be tested in three to five countries next year. 2. The “Iconic Gadget” – This will become a message carrier for scouts to use to spread the word that they have gone solar. The World Organization of the Scout Movement (WOSM) website and Facebook Page is currently running a poll for people to vote on their preferred solar powered device: a solar campfire, a solar cooker, a solar tent or a solar lamp/torch. Because scouts in each region have different interests, the team is considering selecting an international standard gadget based on the poll, while a secondary regional gadget can also be selected by the scouts of each region. This gadget will be incorporated into workshops and used as a campaign tool. 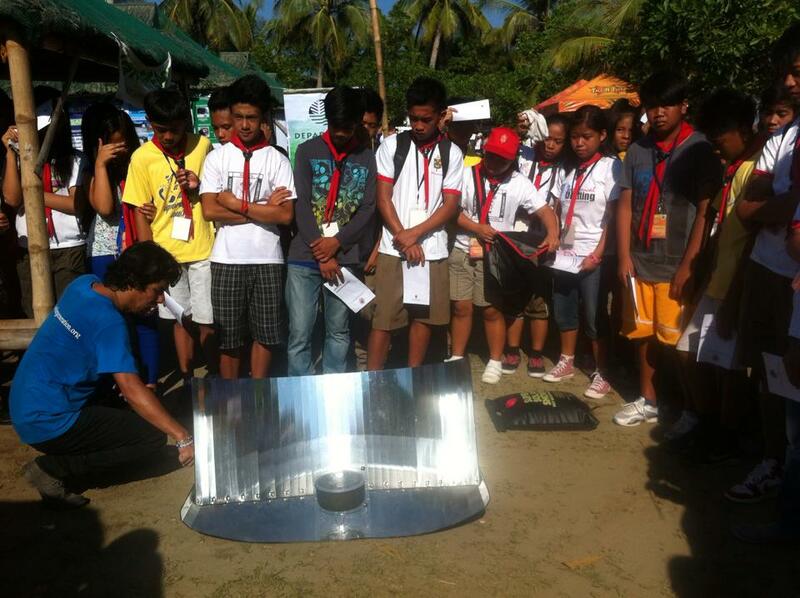 Participants demonstrate solar powered device in Manila, Philippines. 3. “Train the Trainers” – This program trains youth and adults on the use of renewable energy, and requires a commitment from participants to bring what they learned into their communities in order to receive a merit badge. Following the initial training in Manila, GP has been invited to run trainings at the Kandersteg International Scouts Centre in Switzerland in the summers of 2014 and 2015. National scouting associations in Japan, Canada, the Czech Republic and others have expressed interest in participating. 4. 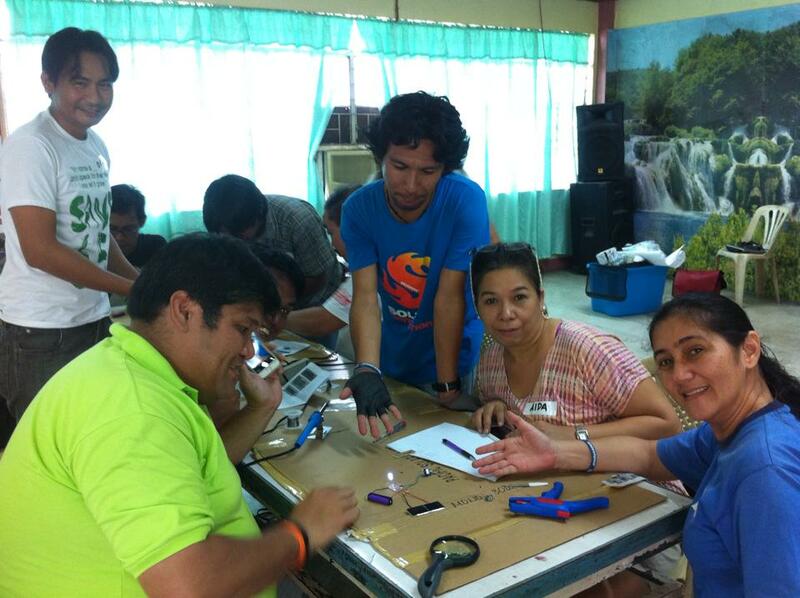 Workshops with Scouts – The pool of newly trained solar trainers led workshops at the 6th National Venture Camp in the Philippines in early May. About 2,500 youth participated. There is untapped potential in this kind of solutions-focused environmental campaign, Amalie says. Amalie sees a culture shift of more openness towards solutions campaigning because of the urgency of climate problems. Addressing the policy level around coal and energy is still important, but she doesn’t think it should overshadow the value of highlighting and spreading solutions. “Particularly around the energy revolution and the rooftop energy revolution — on a small, grassroots level, it’s really beginning to gain ground and become more widely accepted,” she says. Solar tech is an effective and visible tool for the program because of its scalability to different locations — but it is certainly not the only form. The Solar Challenge Badge is intended to begin education on the use of renewable energy as a whole. Amalie’s son helped to hand out the merit badge certificates for graduates of the Training the Trainers workshop. He was too young to participate in the pilot program, as it included scout leaders aged 14-17 and GP volunteers and staff. But he was right beside them in enjoying brownies baked using the solar cooker during the workshop.